TSP: Recent studies show that 45% of dog owners have a canine over 7 years old, and 46% of cats are in the oldest age bracket. One of the most pressing pet trends in the coming years is the growing age of our pets. As our human generations grow older, so do our pets. Fortunately, pets don't have go through growing pains as they get older. Keeping a healthy diet and physical activity can do wonders for animals who have a few years under their collars. As pets age, consumers will begin doing research on the best ways to extend their loved one's limited lifespan. As pet industry professionals, it's our duty to make sure pet parents enjoy the longest and happiest life with their four-legged children as possible. The products that we make and sell have a large impact on the health of pets, especially as they get older. Not only are manufacturers and retailers working together to make our pet friends happier and healthier in their older years, but your customers will get to enjoy the benefits of living with their little furries longer. We put together the top 5 pet products that are great for owners with old cats. As cats age, they don't groom themselves as often as they might have when they were younger. When they do groom themselves, they are often less effective than before which may result in hair matting, skin odor, and inflammation. A good way to prevent these issues is to brush the cat often, with the amount of brushing varying on how thick the cat's coat is. On short-hair cats, the pet owner can get away with brushing once or twice a week, while a long-haired cat will likely need it on a daily basis. Old cats will also require a softer brush than when they were younger. This is due to their skin being softer and not covering their tired bones as well, which can easily make vigorous combing painful. A good brush to consider for older cats is a bristle brush like Safari's Soft Bristle Brush for Cats. Brushes like these are easier on cat's coats and skin as they do not pull on the fur as much as regular cat brushes might. However, while bristle brushes are great for repetitive brushing sessions, they may not always grab the stray hairs closest to the skin, especially during shedding months. While bristle brushes may be a great daily brushing option for old cats, some long-hair cats and even short-hair (during shedding months) may need something extra to make sure all of the stray hair is free from their coats. Stray hairs can cause excessive furballs and matts, and are important to remove from the cat's coat. Shedding brushes can often be harsh on a cat's skin as they are designed to get deep within the fur to pick up any stray hairs. One brush that we recommend based on personal use is the ShedMonster De-Shedding Tool which is a great brush that not only picks up loose hairs, but also is fairly easy and comfortable on an elderly cat's coat. As felines get older, their nails get thick and brittle. Additionally, as they are less likely to use a scratching post, their claws will easily become grown out and get caught on carpets, blankets, and other soft surfaces. It's important to encourage your customers to trim their cat's nails on a weekly or bi-weekly basis, depending on how fast they grow. Untrimmed nailed not only get caught on surfaces, but they can also affect play-time and potentially cause injury or pain. Are the clippers made for cats? There are many varieties of nail clippers that are made for different types of animals and are therefore designed to fit that size nail. Will clippers fit fingers? Some clippers have larger finger holes than others, so be sure the one your customer chooses will fit their hands properly. 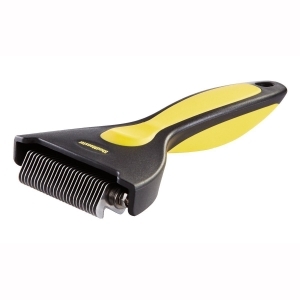 Does your customer need any particular grip for the clippers? It hot seasons, it may be harder to firmly and steadily grip smooth plastic clippers, which may lead to clipping dangerously close to the cat's paw. Love That Pet has a great cat grooming guide which includes brushing and nail clipping tips and tricks. With these considerations, there are actually many varieties of cat food that may not be the best for an older cat's selective diet. Additionally, a veterinarian may diagnose special dietary requirements that will cause pet owners to be extra-cautious of the types of foods they feed their cats. 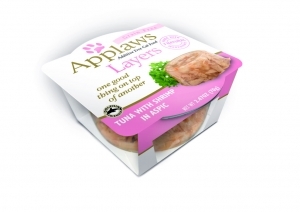 Applaws offers some of the most healthy options that pet owners can buy for their cats. The company prides themselves on using the finest cuts of chicken, beef, and other 100% natural ingredients to give pets exactly the nutrition that they need. When paired together, the wet and dry food offer high amounts of protein and nutrition, very limited ingredients, no additives, and a complete and balanced diet. It is by-far one of the top brands in the cat food market. It is no secret that cats love to sleep and relax on high surfaces. However, as cats age, their joints and bones are not as feeble as they used to be. This means they may not be able to jump on the 5 foot cat tree or window sill very easily, and attempting to do so may cause pain and injury. 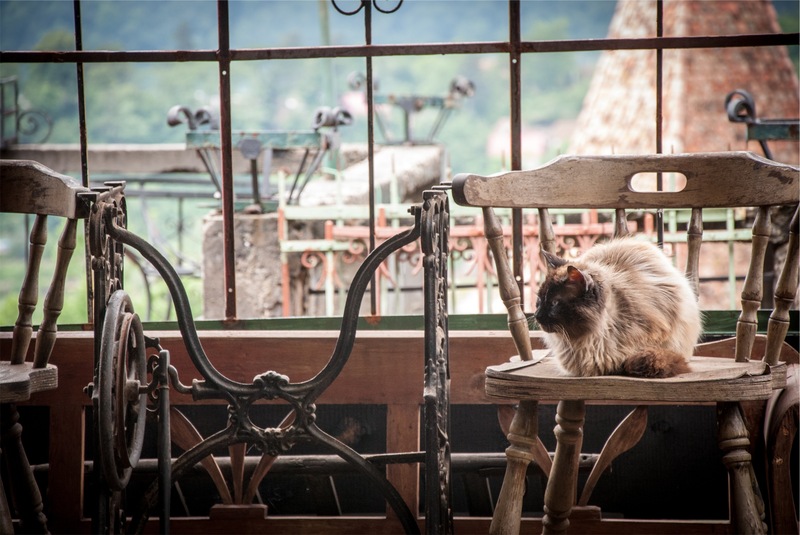 In order to allow cats to continue to lounge up high, it may be worth it for your customer to invest in ramps, steps, or platforms that will ease the process of climbing up for older cats. Ramps are great for cats as they allow them to climb up at their own pace with little-to-no jumping necessary. This Solvit Pet Ramp is a great option for older cats as it is lined with a carpet which will allow the feline to dig her (trimmed) nails in as she climbs onto a higher surface. Want to receive more pet industry insight?